This paper is intended to provide general information. It should not be considered an official, technical document used for making any decision regarding the purchase of any real property. 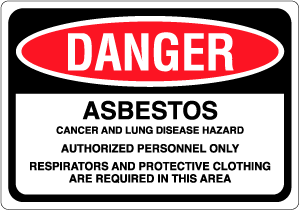 This page provides access to information about asbestos. On this website, you may access general information about asbestos and its health effects. You may also read about what to do if you suspect asbestos in your home. If you wish to obtain more information on asbestos, EPA maintains a listing of asbestos resources available to the public. If you would like to locate an asbestos contact, EPA maintains a listing of federal and state asbestos contacts. EPA maintains a listing of the laws and regulations applicable to asbestos. A 1989 regulation to ban most asbestos-containing products was later overturned in court. The National Directory of AHERA (Asbestos Hazard Emergency Response Act) Accredited Courses (NDAAC directory) is intended primarily for use by federal and state agencies. It contains information about training providers and approved courses nationwide and is meant to serve as a comprehensive reference and resource document. It may also be useful for those training providers who offer accredited asbestos courses and to all consumers of these training services. Asbestos contamination in vermiculite and vermiculite products has become a national concern. A tremendous amount of information has been made available to the public via print, television/radio and the Internet. EPA’s vermiculite pages provide users with basic information about Vermiculite and its uses, fact sheets, Question and Answer documents, reports, and links to EPA Regional vermiculite pages.